The fashion menswear for autumn-winter 2016/17 takes on the colours of autumn, just as the leaves that fall from the trees this time of year. Fabrics and yarns steal the nature colours of the earth and all its colourful palette, to copy the beauty and warmth of colours like burnt earth of Sienna, yellow ocher or green wood. The men’s fashion will then be characterized in coming months by a predominance of warm and bold colours, reminiscent of the autumn landscape, the leaves that are tinged with red and yellow colours before they fall off the trees and form golden carpet on which you can walk, possibly wrapped in soft, colourful scarves or warm wool sweaters. The autumn and earth colours have, in fact, the main role in all the latest men’s fashion shows for autumn-winter 2016/17.The most important designers of the “pret a porter” men like Burberry, Boglioli, Armani, Canali, etc., declined all the shades of red earth of Sienna, ocher and green, to colour scarves, hats, coats, bags, pullovers and shirts. colours that warm and enveloping, and that can be mixed and mixed together to create current and refined out-fit. According to your personality and to your style, you can choose to wear only a few accessories in fashion colours or ‘overdo it’ and opt for a total look entirely inspired by the colours of autumn. 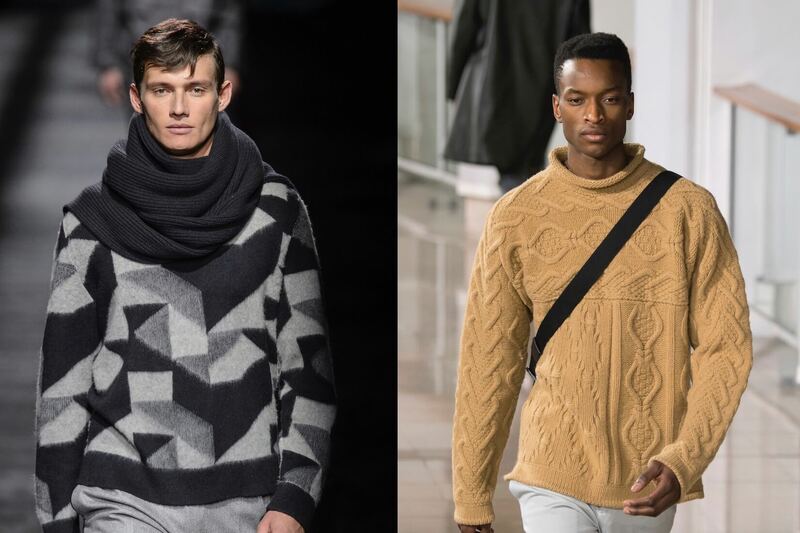 Bags, shawls and scarves are definitely the excellence of autumnal accessories, thanks to the arrival of the first cold and as such they could only marry to the perfection of the latest men’s fashion trends for autumn and winter 2016/17 coloring themself for the occasion in trendy colours. If you are undecided about which colours and items choose to wear in the coming months, you have to know that scarves and shawls in autumn colours are the real must this season.